Oil and Gas exploration and extraction plays a vital role in the economy of the United States and in Texas. Texas is the leading crude oil-producer in the nation, accounting for 22 percent of crude oil production in the U.S. The oil industry is also responsible for 1.8 million jobs in Texas and as of 2008; it brought in 9.9 billion dollars in taxes and royalties. A wide variety of services are provided by hundreds of different companies to support both oil exploration and production throughout Texas and the United States. Typically, these companies do not produce petroleum themselves. Instead, they assist oil production companies by providing the necessary equipment, obtaining valuable underground data, and transporting the finished product. Most petroleum exploration depends on highly sophisticated technology which detects and determines the extent of deposits using exploration geophysics. These oilfield services accelerate the production of oil and help bring this valuable commodity from below the surface into the market place. 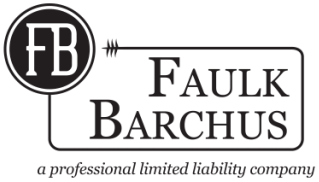 At Faulk Barchus, we represent individuals and small businesses that are facing legal concerns with large oil field service companies. We are committed to providing our clients with professional and compassionate legal advocacy.